trentbarton is investing £3.5m in new British-built buses that will go into service from November. The 22 new Alexander Dennis Limited (ADL) buses will be introduced to the mickleover and nines services. The nines link Derby and Mansfield, with the routes including Ripley, Alfreton and Sutton. The new single-deck buses are the latest Enviro200 models from ADL which are lighter and more fuel efficient with improved suspension. Inside, the new buses will feature wood effect flooring, LED lighting, visual and audio next-stop announcements and extra legroom. They also include free superfast Wi-Fi and USB power at every seat and feature two multimedia shelves on board. The ADL Enviro200s have more seats than previous trentbarton vehicles of the same lengths. trentbarton has ordered eight 11.8 metre vehicles, seating 42, and 14 that are 10.8 metres long with 38 seats. 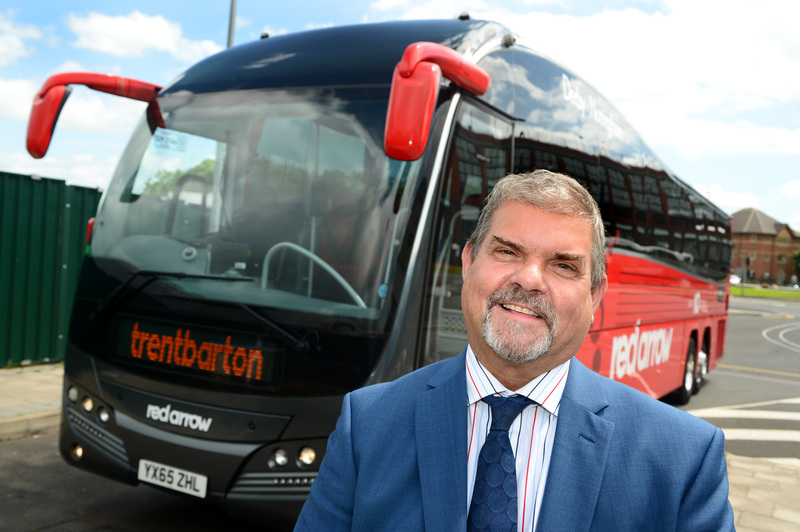 Jeff Counsell, managing director of at trentbarton, said: “We can’t wait to get these new vehicles on the road. “We’ve worked closely with our friends at ADL to take these buses to a whole new level and offer passengers something exciting and unique. We’re confident in saying that these buses will be the best in the country”. ADL will build the new buses at its Scarborough factory, which also assembled the nine luxury coaches that joined trentbarton’s red arrow fleet last year. Richard Matthews, sales director at ADL, said: “It’s been a real pleasure to work in close collaboration with the trentbarton team to specify the best buses for them, their staff and their customers. We’re sure that the finished buses will set new customer experience standards and surpass expectations”.